I recently got a new shelter from Locus Gear of Japan. It’s a one person shelter with a semi solid inner covering half the foot print. In this way I will get good protection from cold drafts and also a vestibule for storing wet gear and cooking in foul weather. First impressions are very good. Craftsmanship live up to the hype. This is the Khufu CTF-B, that means that the whole tent is taped together. Only seams are along the zipper, and these are then bonded with cuben tape. Compared to the UltaMid I have been using the last two years this is at least of the same quality. The inner attaches easy on the inside but as always its hard to get a good stretch on it. Regarding the clearance there is no problem what so ever, at least 10 cm all around. The tent weighs in at 330 g with pack bag and the inner is 300g. Together with 8 pegs it sums up to almost exactly 700g. Very nice for shelter this size that will hold up good against weather and wind. Reinforcements and attachment peg points at bottom of the Khufu zipper. Corner of the Khufu CTF-B with reinforcement. Material in the inner looks very nice, the red color is really strong. White walls are very easy to see through so if you plan stay at camps and want som privacy I would recommend something darker. The silnylon is super slippery so I will have to add some seam sealing to the floor to avoid ice skating night time. This is my contribution to Vimeo Weekend Challenge: Extreme Shots. For this Challenge, let’s take a look at the ends of the shot spectrum: Extreme Wide Shots (EWS) and Extreme Close Ups (ECU). As we’ve mentioned before, shot variety makes for a more interesting story. In most cases, if your entire video consists of one single shot, your audience won’t stay engaged. The video I posted before, Return of the Sun, is the last times winner of the Extreme Shots challenge. My video is shot with a Canon 5D Mark II, 24-105 lens and a cheap, broken, Velbon tripod that I’ve had since I bought my first DSLR a Canon 350D when it was released about 8 years ago. So for about 70 bucks the Velbon tripod has served me well. No more freezing my hands off! LINING: Removable polyester pile lining. This is a short story about Oleg Timofejevich Odnolko, who spends a lot of time in Taiga (Evenkia region, central Russia) woods to hunt there. Hunting in the remote Taiga has become less profitable and much more difficult than it was some time ago. But all hard challenges that make others to step away do not scare him. Oleg is absolutely dependent on the nature and it seems that he even became a part of it – he is not an intruder, he belongs here, and he is not going to change his way of living as this is his home, his work, his wilderness. Almost like “The Last of the Mohicans” Oleg lives in Taiga wilderness, 130km away from closest village. It’s been 30 years, since he started to live and hunt by the Diupkun lake. Sometimes few men who come to help him on hunting matters stay there too. Cabin is heated by the little furnace, called “burzuika”. The word originates from “bourgeoisie”, and ironically connotes a warm and wealthy life. It is also used for cooking food. Always precisely clean and orderly, Oleg puts on his white gloves while frying meat cakes and is giving orders to his helpers like a head chief of a fancy restaurant. The huntsman’s day begins at 5 a.m. At daybreak, it’s always worth checking around the hut to see if there’s any easy prey walking within a bullet’s distance. If there’re no plans to hunt that day—shortly after breakfast the preparation for dinner begins. Soon after, the host Oleg and his helpers gather by the dinner table as if they were one family. “I’m not killing, I’m producing”, – with smile on his face Oleg explains his take on hunting. “It would not be easy, if possible at all to find him out there. He knows perfectly how to survive in Taiga. Trying to help him would be the same as trying to help deer or wolf”,- says Konstantin, a fellow hunter living in the closest village to Oleg’s cabin. Diupkun Lake is a place that “civilized” humans would find hard to survive. It is surrounded by woods and mountains – The Putorana Plateau, which covers the majority of Evenkia’s territory. In the local language “Putorana” means “flat like a table”. Frozen rivers and lakes are Oleg’s highways, when he is traveling with his snowmobile to and from his hut. Average temperature while filming was around -40°C. This would be really cool to participated! Great video and footage. Watch in HD and fullscreen. I’m out on the hunt for two pairs of new winter gloves, or cold weather gloves/mitts to be more precise. Right of now I have identified two pairs of gloves that I’m choosing between and one of those are to be my first pair with the main purpose to be used when moving in the cold or doing some sort of activity and not for static use. The two gloves are both from Arc’teryx, the first one is the CAM SV glove and the second one is the Tactician AR glove. AR stands for All around. Borrowed picture from militarymorons.com as he doesn’t want ppl to directly link to/from his page. I’ve been reading reviews and watching YouTube videos about both of them and right now it feels like the Tactician AR is better. It’s all leather which is good if your near a fire and they look more ‘civvy’ than the CAM SV – at least in the Rawhide color which I prefer than the black one. The other pair of gloves, or should I say mitts, I want for more static stuff or when it gets really cold like it does here in Sweden during the winters. I’ve been looking at the Arc’teryx Alpha SV mitt but they don’t really fit my needs as I want a 3-finger mitt and they are a little pricy. One of the reasons for the 3-finger mitt is that I can use it for shooting but also because you get better control if you need to pick up stuff from the ground or fasten a buckle or whatever without removing your mitts. So what I’ve found is a Swedish brand called Hestra Glove (Hestra Handsken) and they are well known around the globe for their high quality products just like Arc’teryx. The price tag is a little smaller and they have the 3-finger glove that I’m looking for. I was out today looking for it but all the stores here were I live have sold out and just had the standard mitt that looks pretty much like the Alpha SV. 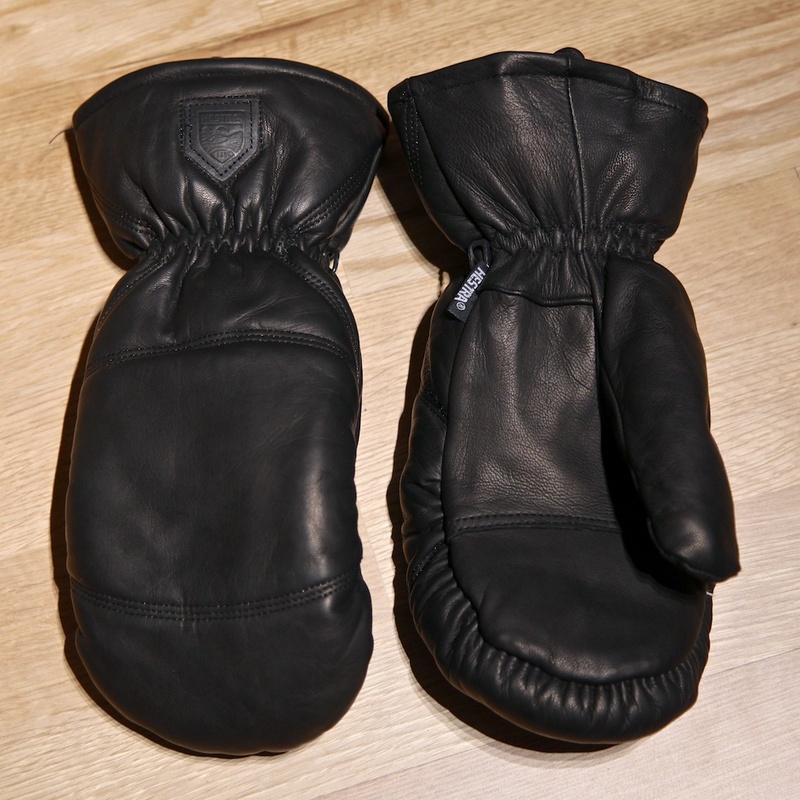 But, just like every other brand out on the market they also have two versions of the mitt/glove… One with GORE-TEX and one with “just leather”. The Heli 3-Finger or the Hestra Army GTX 3-Finger, also called XCR 3-Finger depending on which market it faces. I think that the last named glove is the one that is issued to the Swedish Army as a cold/extreme cold weather glove/mitt. One important thing or at least a nice-to-have feature would be if I could remove the inner liner and put the Tactician or the CAM SV glove inside and mainly use the mitt as a shell. I don’t think the Army 3-Finger can do that but it should be doable with the Heli 3-Finger which is a GORE-TEX shell. I know that there are some cheaper shell mitts out there, like the Extremities Tuff Bags. If you know any that could fit my specifications please shoot me an e-mail or drop a comment below!